This year we celebrate the “New Year for Trees” on January 21st. Tu B’Shevat is an agricultural holiday celebrated on the 15th of Shevat on the Jewish calendar. In contemporary times we most closely associate the holiday with eating fruit and planting new trees, but it holds tremendous significance in the history of the Jewish partisans. The trees were indispensable allies of the Jewish partisans. 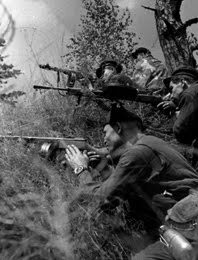 The vast forests and swamps covering most of the Eastern front became home to countless partisan groups, providing them with dense coverage — shielding their escape and harboring them in relative safety. 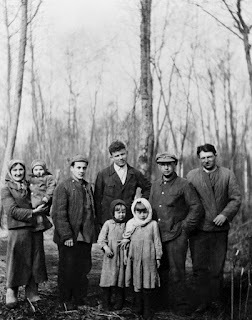 The forest canopy protected large numbers of people from detection by aircraft, allowing groups like the Bielski brigade to harbor greater numbers of people, including children and the elderly. The forest was an essential infrastructure for the cohabitation of thousands. 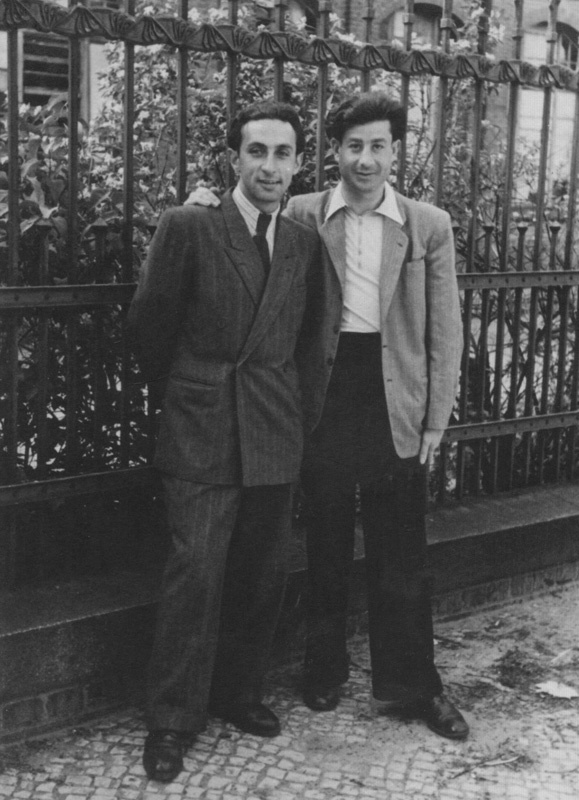 “No forests – no partisans,” asserted Faye Schulman, Jewish partisan photographer. 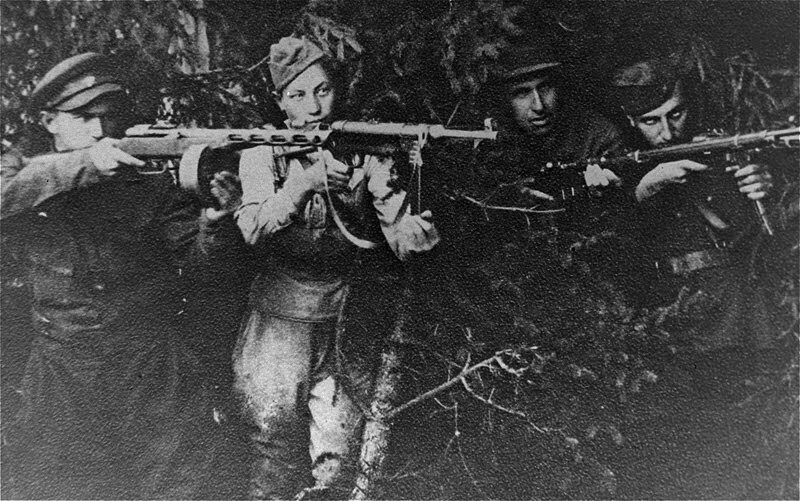 Partisans often had intimate knowledge of the forests in their area and were able to leverage that in their war effort against the Nazis, as in the case of Norman Salsitz and the Bielskis. The terrain was well suited for camouflage and deception: “In the forest, ten partisans seemed like a hundred to those on the outside,” remembers one partisan. During the notoriously harsh winters of Eastern Europe, the forest provided firewood and the raw materials for shelter — little underground huts called ‘zemlyankas’ — where the partisans would huddle together to escape the cold and avoid detection. “Without the forest, we could not survive.” said Norman Salsitz in his interview with JPEF. And indeed, the very memories of escape and freedom for many partisans — including Mira Shelub and Jeff Gradow — are inextricably linked to the woods, where they ran to hide, and the trees that gave them cover from the pursuant bullets of the Nazis. Studying about Tu B’Shevat in the classroom, and discussing the importance of trees in Jewish tradition, presents an ideal opportunity for educators to focus on Jewish pride and introduce students to the Jewish partisans. Guidelines and lesson plan ideas for incorporating the Jewish partisans into the study of Tu B’shevat are found in JPEF’s downloadable study guides for Strengthening Jewish Pride and Living and Surviving in the Partisans. Today, Tu B’shevat represents the broader shape of contemporary Jewish renewal. 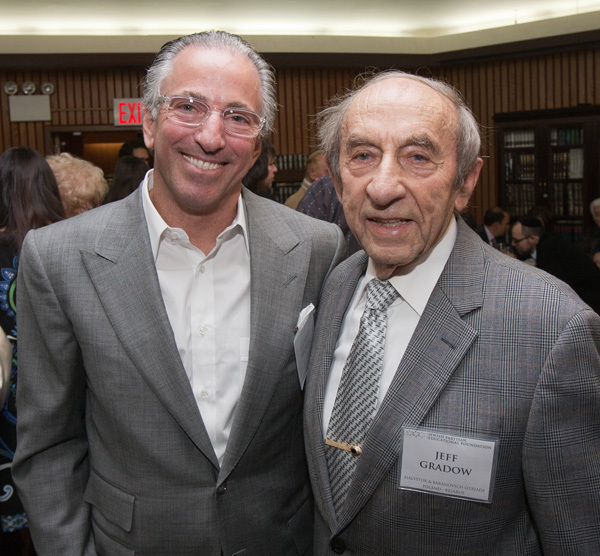 It is one of the clearest examples of the rebirth of rooted Jewish life after the Shoah. The charred site of a forest fire slowly gives birth to new growth and now, more than 70 years later, a new forest stands in its place. Each of the elements of that forest grew from seeds that survived the fire; yet the forest itself has its own unique characteristics. Jeff Gradow escaped into the woods from a labor camp in Bialystok, and soon found a partisan unit where he became a trained fighter, participating in sabotage missions until the end of the war, when his partisan unit was assimilated into the Red Army and was sent to the front lines. Jeff Gradow was born in 1925 to a middle class Jewish family in central Poland. When he was only 14 years old, the Molotov-Ribbentrop pact carved Poland in half – his town of Mlawa was located on the western side of the divide, and thus fell under the control of the Germans. 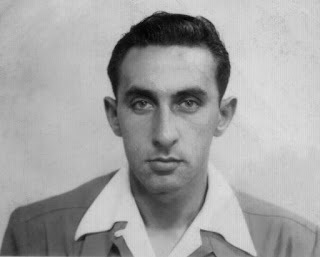 With the arrival of the Nazis came immediate danger: prior to the occupation, his father had a dispute with a neighbor over some horses and a wagon, and the newly-instated police force – made up mostly of Polish locals who required little incentive to settle old scores with their Jewish neighbors – were looking to arrest him. Those arrested were often never seen again, so his father hid with a local farmer outside of town, taking Gradow with him. They remained there for a few days, but upon learning that the German-Soviet border was still easy to get across, they left for Soviet-occupied Bialystok, located just east of the dividing line. There, they settled down temporarily – Gradow’s father, Lohim, got himself a job and Jeff went to school, where he learned to speak Russian. Unfortunately, travel restrictions made it impossible to send for the rest of their family – Jeff’s mother and two younger sisters remained in Mlawa. This did not last long, and their life in Bialystok soon changed for the worse. The Nazis broke the Molotov-Ribbentrop pact and invaded Soviet-occupied territories in July of 1941. This included Bialystok, whose Jewish inhabitants were treated by the invaders with particular brutality and ruthlessness. Less than a week after their arrival, Nazi troops locked around two thousand Jews inside the Great Synagogue – the largest wooden synagogue in Eastern Europe at the time – and burned it to the ground. Many other homes in the neighborhood were pillaged, looted, and burned that day, and many more people were murdered. During the mayhem, Jeff’s father Lohim was seriously injured by a grenade thrown into their house; he did not survive to see another morning. Alone, Jeff wandered the streets until sympathetic neighbors offered him shelter. 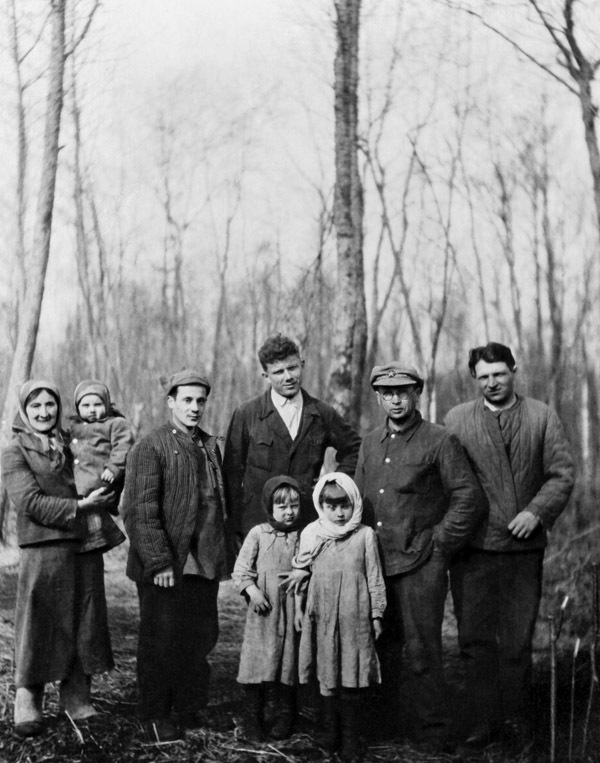 The Nazis forced every Jewish male in Bialystok to work. Jeff’s first assigned task was to dig ditches in a cemetery with some Russian PoWs. After the ditches were dug, Jeff watched as the Nazis shot all the Russians; Jeff and other survivors were then forced to bury them. The Nazis eventually started quartering Jeff’s labor group inside a train station during nights, and he was not allowed to return to his neighbors. During the days, the group was forced to lay timber on the highway so that German military vehicles could pass through in the winter, when all the roads turned to mud. Jeff’s labor group was comprised of civilians; consequently, it was guarded by soldiers who were older and slower than the group of Russian PoWs working just up the road. These older soldiers had a habit of resting their legs once a day and took a 20-30 minute afternoon break, allowing the laborers to do the same. Fed up with forced labor and believing he has nothing to lose, Jeff decided to make a run for it during one such break. When the soldiers weren’t looking, he slid into a ditch on the side of the road and bolted into the forest. He heard rifle shots in the distance as the German guards discovered they were one prisoner short, but he was already deep in the woods, and no one pursued him. Jeff wandered the forest for three days, lost and alone, surviving only on wild blackberries. On the third night, he found a farmhouse and, taking a chance, knocked on the door. Jeff was wearing a Russian military jacket belonging to one of the shot Russian PoWs, and he had learned to speak fluent Russian in school during his time under Soviet occupation. Consequently, the farmer who opened the door was not able to discern whether the starving, rain-soaked prisoner before him was a Russian PoW or a Jew – a lucky situation for a young Jewish boy alone in the Polish countryside to find himself in. The farmer sheltered him for the night and pointed him in the direction of a village under the control of local partisans. There, Gradow was given directions to the main partisan encampment in the woods after being deemed too young and inexperienced to be an enemy spy. The camp was a diverse one, comprised mainly of Jews and Russian soldiers, and included families. Jeff was even able to speak Yiddish to the guards at the encampment, who were surprised to learn that he survived an escape from a labor group. Rather than continue to wander through the woods, hungry and alone, Jeff joined the partisan group and immediately begun weapons training. At that point in the war, partisan groups like Jeff’s were still mainly concerned with self-preservation. As the Soviets fought on and their situation began to improve, partisan units got more organized and better equipment became available. This is when their missions began to change, recalls Jeff, and focused more on sabotage, disruption of communications, and the elimination of local police. Jeff became a seasoned guerrilla fighter, traveling by night with all his belongings, in case the Nazis got tipped off to the whereabouts of his unit’s base camp. Oftentimes, they would come across traces of their old hideouts, destroyed by the Nazis. The partisans lived in zemlyankas – holes four to five feet deep dug in the ground, covered by branches and dirt. Each one could sleep around 15 people; Jeff’s entire unit was comprised of around 100-150 people. The partisans slept during the day (except those who stood guard), and traveled by night. 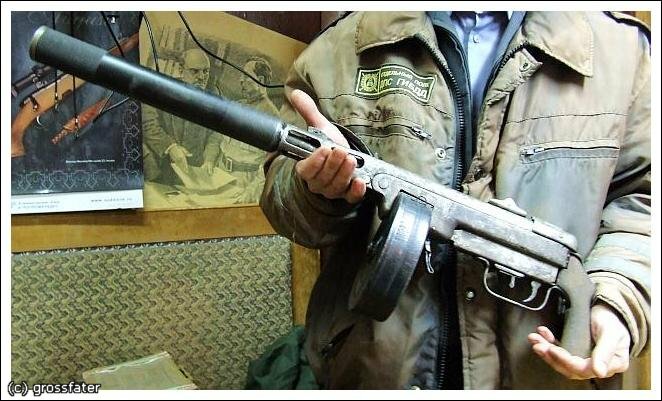 In late 1943, the Soviets began airdropping supplies for the partisans. This included explosives – Jeff and a few of the other partisans used them to derail a German train in the dead of night. They slipped away amidst heavy Nazi casualties and confused machine gun fire. Such missions were only attended by a handful of partisans while the others stayed behind. However, when it came to missions like food-gathering or reprisals against collaborators, the entire unit followed – a handful of partisans went in, but the rest stayed behind, encircling the town to make sure the group was not caught unawares. In the spring of 1944, Jeff’s unit joined other nearby partisan groups to defend a bridge for an upcoming Soviet tank assault. They succeeded, allowing the Russian troops to roll in and liberate the area. No longer in hiding, the local partisan groups gathered in the nearby town of Baronovich, where they were immediately absorbed into the Russian army. Gradow’s group was assimilated into the 348th “Bobruyska” Division and ordered to join the western front. Jeff Gradow and a friend after the war. Jeff fought on until he was badly injured near his hometown of Mlawa in August of '44. He was sent to a military hospital deep inside the Soviet Union, in the town Michurinsk, some 400km southeast of Moscow. The war ended during his recovery, and he sought leave to return to his hometown. Only twenty years old, Jeff returned to Mlawa to find out that his mother and sisters (along with the rest of his extended family) were murdered in the Treblinka concentration camp. He left Poland shortly after and made it to the French sector of Berlin, where he spent the next four years before immigrating to New York City in 1949 via his great-uncle, who sponsored his arrival through the Displaced Persons Act program. In 1954, he married and moved to Los Angeles, where he raised two children. He passed away on June 23, 2014. Jeff Gradow and JPEF Board President Elliott Felson at the 2011 Partisan Tribute Dinner. Visit jewishpartisans.org to find out more about Jeff Gradow, including six videos of him reflecting on his time as a partisan.